The facts: The only time in recent Oscar history that a film has won Best Picture without a Best Director nomination was “Driving Miss Daisy” in 1989, and, in that case, director Bruce Beresford wasn’t recognized as a nominee by either the Globes or SAG. “Amour,” “Beasts of the Southern Wild,” “Life of Pi,” “Lincoln,” and “Silver Linings Playbook” are nominated for Best Director, while frontrunner “Argo” and the Globe winner for Best Motion Picture – Comedy/Musical, “Les Miserables” are not. 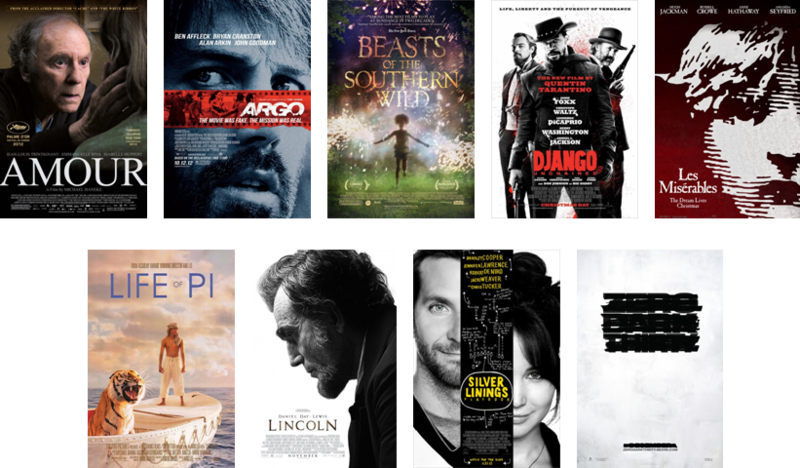 “Lincoln” is the nominations leader with 12, and “Life of Pi” follows with 11. 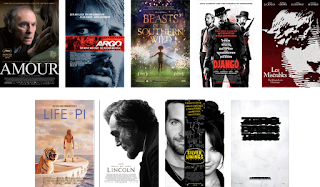 “Les Miserables” has 9, “Silver Linings Playbook” has 8, and “Argo” has 7. “Amour,” “Django Unchained,” and “Zero Dark Thirty” all have 5, and “Beasts of the Southern Wild” has 4.
Who should win: “Beasts of the Southern Wild” is my favorite, but I’d be happy with “Argo” or “Zero Dark Thirty” too. Who will win: History doesn’t mean much once something happens to break a trend, and all signs point to Argo winning if only as a byproduct of its snub for Best Director. “Amour” will get its consolation prize with Best Foreign Film, “Les Miserables” and “Life of Pi” in technical categories, “Silver Linings Playbook” and “Django Unchained” potentially with acting awards, and I expect “Beasts of the Southern Wild” and “Zero Dark Thirty” to go home mostly empty-handed. That leaves “Lincoln” as the sole true competitor for this trophy, but I still think it will come up short here.